WTN - Chef Vishnu Manohar created a world record of cooking 3000kg khichadi. Union Minister Nitin Gadkari was present on the occasion. 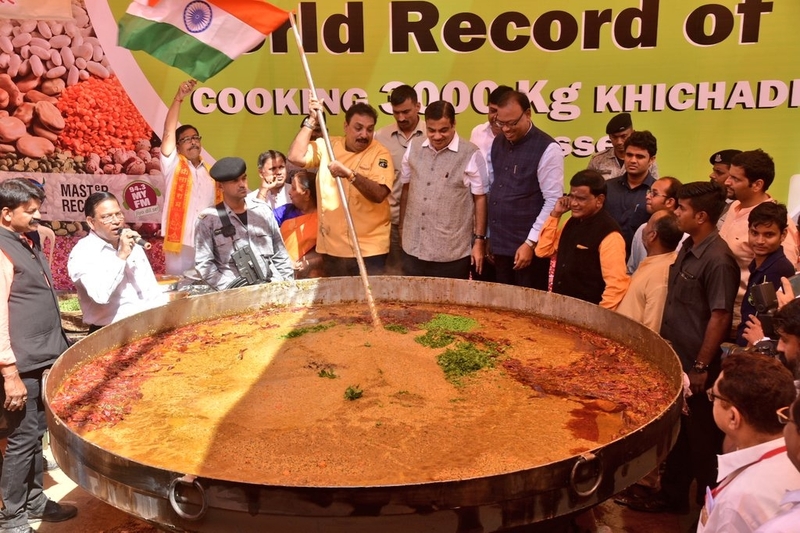 Last year, in November, chef Sanjeev Kapoor led India’s entry to the Guinness Book of World Records by making the 'largest serving of rice and beans' after he prepared 918 kilograms of Khichdi in New Delhi. In order to cook the Khichdi, the ingredients that went into the recipe were 275 kg of rice, 125 kg of moong dal , 150 kg of chana dal , 3000 litres of water, and 150 kg of ghee .